Are We Michiganians or Michiganders? Is Governor Snyder’s Use of the Term “Michiganders” Discriminatory to Women? 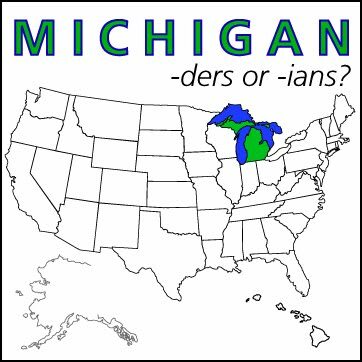 Michiganian is the “official” term for a person from Michigan, according to the U.S. Government Printing Office. The Michigan Historical Center also uses Michiganian, and it is the term of choice in the Michigan Pioneer and Historical Collections, a 40 volume collection of reminiscences, transcripts of historical documents and other historical material about Michigan life dating back to the 1870s. The term goose applies to the female in particular while gander applies to the male in particular. So when Governor Snyder uses the term Michigander he is essentially leaving woman out of the equation and is discriminatory towards Michigan women. Therefore the correct term as to be all inclusive including both male and female citizens should be Michiganians. The number of women serving in the Michigan state Legislature’s “Good ‘Ole Boy’s Club” has fallen to a 20-year low. Michigan is ranked 36th in the nation in terms of female representation in the Legislature. Even though women represent 51% of the state’s population, only 18.9% of the legislators in Lansing are female.